Guardian Inspection & Information Services® is dedicated to quality and excellence in the field of commercial property inspections. Guardian® can also arrange for special environmental testing and laboratory services, as well as other inspection & information services to satisfy your needs. 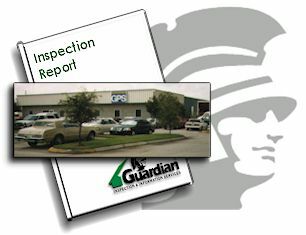 Guardian® offers a choice of inspection reports. Each report offers unique benefits in terms of the scope, detail and presentational format of the information you may require.